I’ve been honoured to work with the wonderful Rahf AlRashidi over the last couple of months organising a 3 Day Blog Blitz for her best-selling book. Today however I have the pleasure of sharing my own thoughts on The Clouds Beyond Us as I take part in the Blitz. 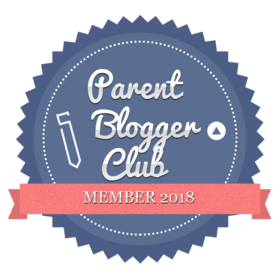 I hope you enjoy my review and be sure to have a read of the other blogs participating – you’ll find all the links here. I have to say from the beginning that this has been one of the most difficult reviews I’ve had to write, because I feel any sentences I create won’t be sufficient to convey my feelings for this book. It’s a completely unique book and unlike anything I have ever read before. If I’m completely honest it’s not the usual genre I would choose, but I adored it from start to finish. The book is made up of a series of short stories and poems all written in the first person and it’s evident immediately how much of her heart and soul author Rahf has poured into each and every page. The raw emotion contained in every chapter resonates off the page giving it a really personal, intimate feel as if you are climbing inside someone’s mind. Even though each chapter has its own identity and message they all flow perfectly together building to form something extremely special. So many of the incidents, thoughts and feelings within this book’s pages were relatable to me and I am sure that they will be for many other readers out there too. Rahf has a wonderful writing style that although extremely descriptive, flows well making it a joy to read. I really enjoyed the medical references and analogies that she littered throughout the text too that pay homage to her years of medical training, I found them extremely interesting to read and they were perfectly placed to illustrate her points. Rahf’s passion for writing is evident throughout, making it an absolute pleasure to read. Whilst a reasonably short read this emotive book is jam packed with a bit of everything including hope, regret, sadness and love which helps to shine the spotlight onto your own life making you reflect on your own life choices. I can’t recommend this book highly enough, there’s something everyone will be able to relate to within its thought-provoking pages. This is one of the few books whose words have stayed with me for weeks after finishing it and I will certainly be taking the time to re-read in the future – I loved every second. Rahf AlRashidi is a multi-genre author of short stories and poetry. A medical student from Kuwait, she currently lives abroad to pursue her medical degree. She first began writing short stories at the age of nine, when she lived in Texas, USA. In 2009, the journey towards her dreams began, with writing becoming a part of her life after showcasing her talents as an artist and writer in the District PTA contest in Denton, going on to win first place. Her mother, a psychologist and an author, has always been and continues to be her source of inspiration and her faithful guide. You can stay up to date with news and announcements from Rahf over on Twitter.